Do you and your family need more comfortable chairs in your dining room? Imagine sitting on fabric-covered, allowing you to enjoy long meals at your table in seats where you feel at ease. You can do that with our Alana Chair in Oak. These elegant chairs come in your choice of patterns from Heartland Fabrics. You might want to stick with a solid or experiment with the many different flowered, checked or striped options. Pick the fabric that best matches your existing décor. The chair is further customizable as well. You can decide whether to get it with or without arms. You can also request your choice of wood for the legs, including quarter-sawn white oak, maple and cherry. Finally, pick a stain from the more than a dozen options offered by AmishOutletStore.com, such as Medium, Honeywood or Asbury. Our Alana Chair in Oak is Amish-made, as are all of the dressers, beds, benches and other pieces sold by AmishOutletStore.com. These artisans learned the trade of furniture design from the generations who came before them. They watched their parents and grandparents make furniture in the traditional manner, and they have continued to do it in the same way, using the finest materials available. The result is well-made pieces that stand the test of time. 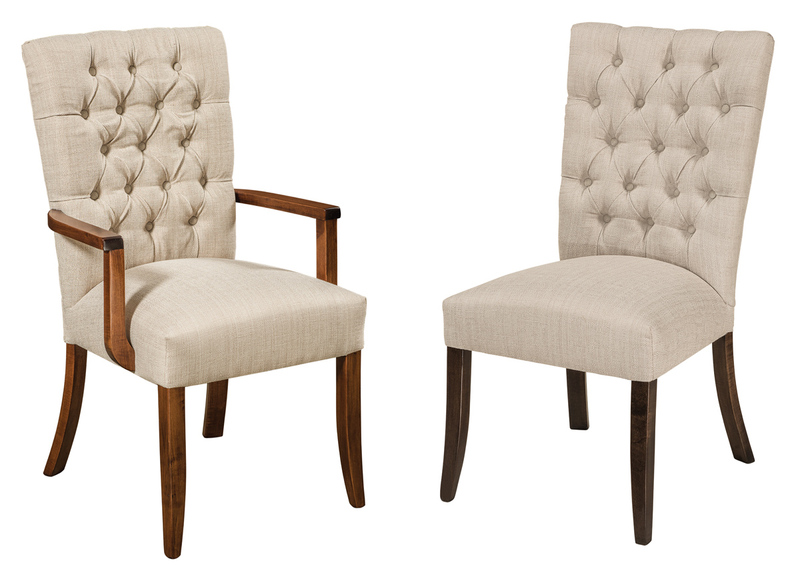 We offer up to 33 percent off everyday prices on our Alana Chair in Oak and other items. We also post monthly specials on the homepage. Get in touch with us for more information about the Alana Chair in Oak.